Monday Memo: Starbucks anti-bias training, Nordstrom and Amazon annual meetings, home prices, Costco earnings, union vote at Boeing S.C.
TODAY: U.S. stock and bond markets are closed for the Memorial Day holiday. 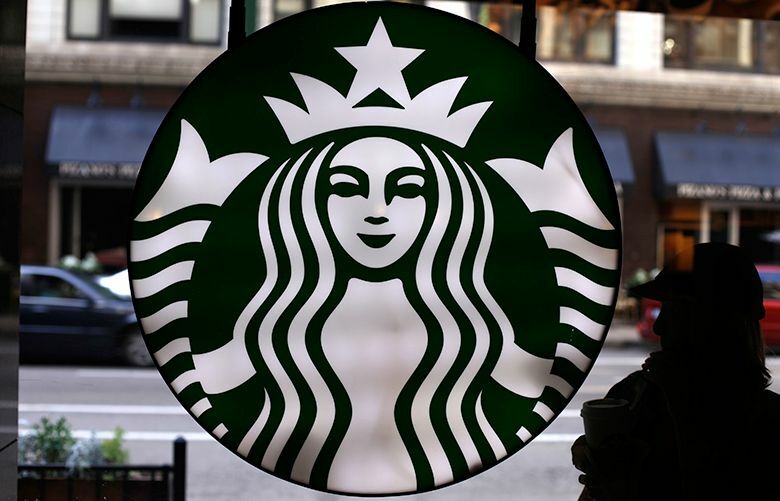 TUESDAY: Starbucks will close 8,000 U.S. stores in the afternoon to provide anti-bias training to some 175,000 employees as part of a multifaceted response to the arrest of two black men in a Philadelphia store in April. … Nordstrom holds its annual shareholder meeting at 9 a.m. in the John W. Nordstrom room on the 5th floor of the company’s downtown Seattle store. … Case-Shiller releases its national home-price index, with the Seattle area having led the country in home-price increases for the previous 18 months in a row. … The Conference Board releases the Consumer Confidence Index for May. WEDNESDAY: Amazon holds its annual shareholders meeting at 9 a.m. at Fremont Studios in Seattle. A low-key affair in recent years, Chief Executive Jeff Bezos recaps the company’s recent moves and takes a few questions from shareholders. The event typically draws protests by groups critical of the company’s business practices. … Payroll processor ADP reports how many jobs private employers added in May. … The Commerce Department reports its second estimate on first-quarter gross domestic product. … The Federal Reserve releases its Beige Book, a regional summary of economic conditions. THURSDAY: Costco reports fiscal third-quarter financial results after the markets close. The mean estimate of 28 financial analysts who follow the company is for per-share earnings of $1.68. Employees are anticipating more details of a benefits increase related to Costco’s tax-cut windfall described by Chief Financial Officer Richard Galanti during the company’s last quarterly report in March. … In North Charleston, S.C., a unit of 178 Boeing flight-line mechanics will vote on whether to join the Machinists union, the latest effort by the International Association of Machinists to unionize Boeing’s South Carolina workforce. In a broader vote, the entire blue-collar workforce of about 3,000 workers rejected the previous IAM unionization effort in 2017. FRIDAY: The Labor Department reports U.S. employment data for May.